Today, video gaming is one of the most popular forms of entertainment. Video games are on every device. In fact, kids as young as two years old can play a simple smartphone game. Studies suggest that people across the world spend more than three-billion hours per week playing video games. And for that reason, it is believed that games can be addictive and at the same time affect the brain. Video games have become common to both kids and adults. The average age of a gamer has risen to 35. This means more teenagers and adults are playing video games more than ever. A few years back, people would only play games on desktops and consoles. But with advanced technology, more and more people can now play video games on their smartphones, and tablets. This means people are playing video games everywhere. But is video gaming an addictive or a fun form of entertainment? Are video games fun or addictive? Before any research, many people especially parents believed that video games were as addictive as cigarettes, alcohol or hard drugs. But this is not the case. According to research, video games can be addictive but their effects cannot be compared to alcohol, cigarettes or drugs. For children or adults who enjoy video games, gaming entertaining is just like watching TV, playing basketball or watching a movie. There is nothing fundamentally addictive about playing video games. Gaming is fun and has numerous physical and mental benefits. However, it is important to regulate the number of hours to spend playing a video game. Too much time in front of the screen can lead to addiction and other health risks. Do video games affect your brain? Research that investigated on how video games affect the brain has stated that gaming can affect your brain positively and negatively. Gaming changes the parts of the brain that are responsible for visuospatial abilities and attention. Below are some effects of video game brain functions. According to recent studies, there is a relationship between playing video games and decision-making abilities. There are certain video games that enhance decision-making and cognitive flexibility. This means playing video games on your tablet, smartphone or desktop can affect brain function. It is also possible to notice a difference between a gamer and a non-gamer when decision-making is involved. Gaming increases brain volumes in regions responsible for strategic planning, the formation of memories and fine-motor skill control. Research also shows that video gaming can play a healing role in several brain disorders resulting from brain injury. A recent study has shown that engaging in strategy video games can help to increase the brain gray matter. The gray matter is a particular layer of our brain also referred to the cerebral cortex. This part of the brain is responsible for organizing, forming and storing memories. It also helps to connect senses and emotions that include sound and smell to the memories. When you play video games, it can help to advance parts of brain volume. It also helps in controlling fine coordination and movement, muscle balance, and improving cognitive function in particular brain regions. Playing video games, especially the action video games can help to improve visual attention. And an individual’s visual attention level relies on the brain. Gaming can improve the brain capacity to process appropriate visual information and overpower inappropriate information. According to studies, people who play video games regularly can outshine their non-a gamer on visual-attention related duties. However, it is essential to note the kind of video game you play. This is because the gaming you engage yourself with plays an important role regarding your visual-attention improvement. Video games that need rapid responses or divided attention are good in increasing visual attention. It is also believed that action video games are the best when enhancing visual attention is concerned. This is because they have programs for military training and helpful treatments for several visual conditions. Video gaming is not just for school kids and teenagers. It has many benefits for adults and seniors. Playing a video game for just two hours every week can help to slow the aging process in adults. This is because gaming improves attention and memory. Based on research, a 60 to 85 year old gamer can easily outshine a 20 to 30 year old non-gamer in an attention task. Research also shows that gaming can also help to reverse cognitive decline linked to aging. Most people have linked violent video games to mass shooting happening around the world. However, there is no backing for their claims. But studies have shown that video gaming can actually increase aggression. For instance, if you are playing a hero in a specific game, you are more likely to be more aggressive than a person who plays a villain. Also, people who are easily depressed, upset, and act without thinking are more likely to be influenced by gaming than people with personality behaviors. It is a surprise to many people that video game therapy is a legitimate kind of treatment. If animals can be used to heal mental problems, then video games can do just as good. This is because we have games in many gadgets and there are various types of video games. Playing a video game is just like having a one-on-one counseling session with a person. Playing games can act as therapy to kids and teenagers in a smart and fun way just like traditional counseling. It can help depressed people and other mental issues. Spending a few hours playing your favorite game can benefit your brain more than other types of therapy. 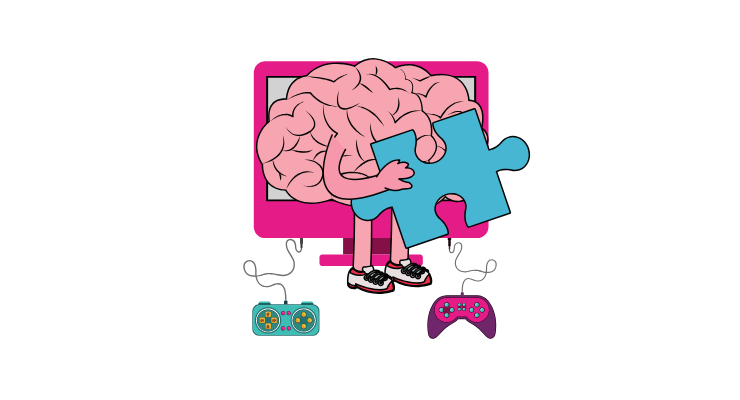 Though physical activities are very important for the brain and for your general health, video gaming has emerged as one great form of exercise for the brain. Numerous studies have confirmed that video games can be a reliable strategy for improving memory, mood and a good treatment for depression. Previous Are Video Games Linked to Violence or Not?